Endorsed Accounting Management Certificate from Ofqual's regulated Awarding Body. This Accounting Management level 3 is of great interest to business professionals and entrepreneurs interested to get a thorough introduction to Accounting practices and theory and to all learners wishing to take Accounting as a future career. Account Management helps businesses to measure, monitor and plan their operations. This is all done by the Accountants who by recording, classifying and summarising data can tell how the business is performing financially. Good Accounting practices and procedures are needed in every business. The course helps you learn the core accounting principles and practices. 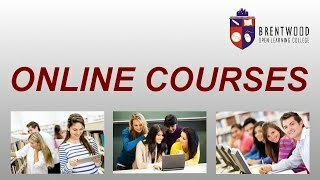 Highlights of the course include; Introduction to Accounting Management, the role of an Accountant, Accounting concepts and standards, journals and subsidiary books, profit and loss accounts, balance sheet, cash flow statements, budgeting, variance analysis, ratio analysis, financial management, management of working capital and investment methods. Comprehensive course units take students from the basic Accounting fundamentals to the various Accounting concepts used by the Accountants for keeping records of the capital expenditure of a company. From understanding debits and credits and using simple T-accounts to closing out the Accounts at the end of an Accounting period, producing the statement of retained earnings and balance sheet, you will learn how each step is completed. This self-paced programme Accounting Management is available 24/7 providing you with the flexibility to train at the pace, location and time of your choosing. Accredited certificate from Ofqual's registered awarding body is available on course completion. College registration, tutor support, course materials and additional supporting material are all included in the course fee.